Apple’s iPhone XS and iPhone XS Max are claimed to be same except for the difference in size. However, there is one other difference that hasn’t been talked about much. That difference is the iPhone XS Max Display Zoom, which is absent in the smaller model. The iPhone XS Max Display Zoom feature makes on-screen content look bigger than on the default resolution. It must be noted that the feature was first introduced with the iPhone 6 and iPhone 6 Plus, but it wasn’t given to the iPhone X or iPhone XS. Users can enable the iPhone XS Max Display Zoom in the Settings app under Display & Brightness and View. Display Zoom makes the content on the screen clearer and enlarges the content controls. This zoom feature made a big difference on the iPhone 6 Plus and other 5.5-inch phones. Although the iPhone 6 and other 4.7-inch models also have this feature, its impact was less apparent on smaller screens. Apple designed Display Zoom to present a scaled-up version of its OS, which is designed for smaller screens, notes 9to5mac. With Display Zoom enabled, the experience of running an app designed for a 4-inch phone becomes the same as on the bigger screen. It’s natural to wonder why the iPhone X and iPhone XS — both with larger 5.8-inch display — don’t have Display Zoom. It is because they have a different aspect ratio than the earlier iPhones, so there are no smaller versions of the apps to scale up. It is believed that the iPhone XR will also get a feature like the iPhone XS Max Display Zoom. The iPhone XR has a larger 6.1-inch display, but the same aspect ratio as the iPhone X. In a way, it can be said that Apple is not giving any extra features by adding Display Zoom in the iPhone XS Max. Rather, it is a mandatory feature for phones with a bigger screen, and Apple needs to add it anyway if it wants to ensure the same user experience across all iPhone models. The most obvious difference between the iPhone XS and XS Max is the size. 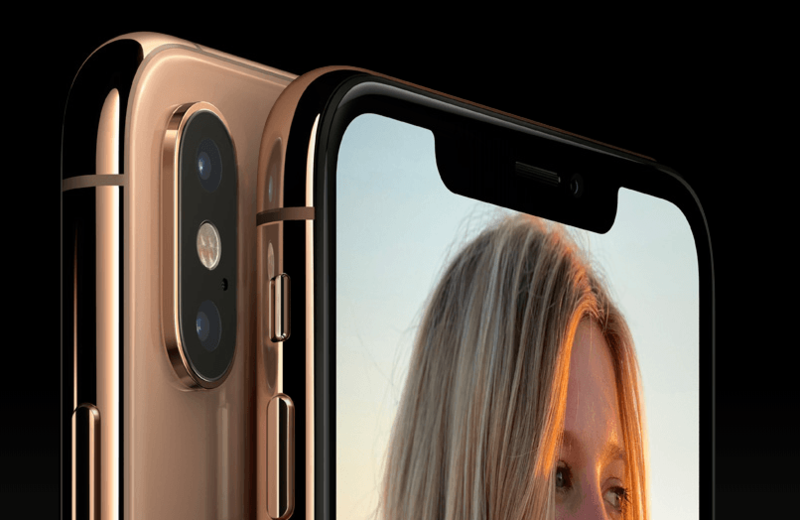 The iPhone XS features a 5.8-inch display with a 2436 x 1125 resolution and 82.9% screen-to-body ratio. On the other hand, the iPhone XS Max sports a 6.5-inch display with a 2688 x 1242 resolution and 84.4% screen-to-body ratio. The iPhone XS measures 143.6 x 70.9 x 7.7 mm and weighs 177 grams, while the iPhone XS Max measures 157.5 x 77.4 x 7.7 mm and weighs 208 grams. It must be noted that the iPhone XS Max is almost identical to the 5.5-inch iPhone 8 Plus (158.4 x 78.1 x 7.5 mm and 202 grams) in size and weight. Apple must be applauded here for making the iPhone smarter and bigger without adding any extra weight. Another obvious difference between the iPhone XS and iPhone XS Max is the battery size. The iPhone XS has a 2,658 mAh battery, while the bigger model sports a 3,174 mAh. Last but not least, there is an obvious difference in the prices of the two phones due to these differences. The 64GB iPhone XS variant costs $999, while the 256GB model costs $1,149, and the 512GB variant costs $1,349. The 64GB iPhone XS Max is priced at $1,099, while the 256GB model retails for$1,249, and the 512GB variant is priced at $1,449. “We have determined that the demand for XS Max is better than expected (3–4 times that of XS). The gold and space-grey colors are significantly more popular than the silver,” Kuo said. Despite the better-than-expected performance by the iPhone XS Max, Kuo believes the iPhone XR will be the bestselling iPhone this year. It’s set to go on sale Oct. 26.